Forge Ahead Arts builds community by furthering artistic expression, appreciation and participation. Through the development of thought provoking, aesthetically beautiful, and often whimsical pieces, we raise questions and stimulate dialogue around issues of broader social concern. 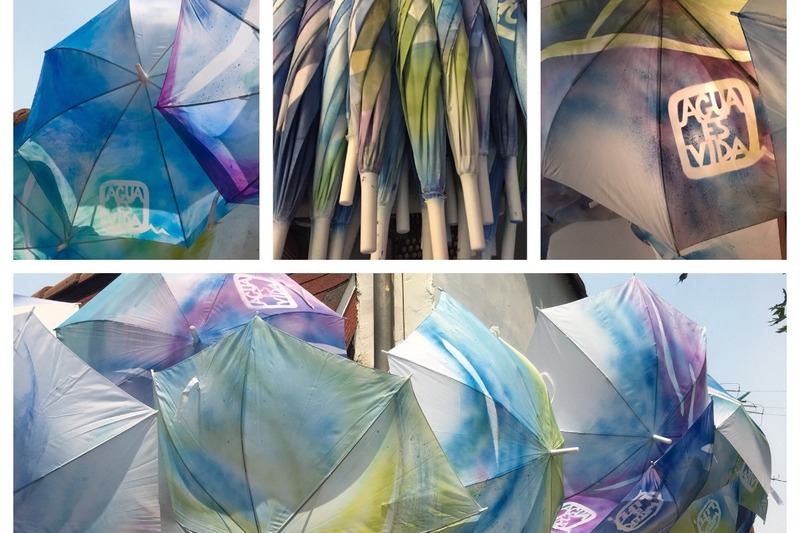 Three years ago, at the height of one of the worst droughts in California history, we began our series of River installations -- artistic conversations around the precious, life-giving resource – water. 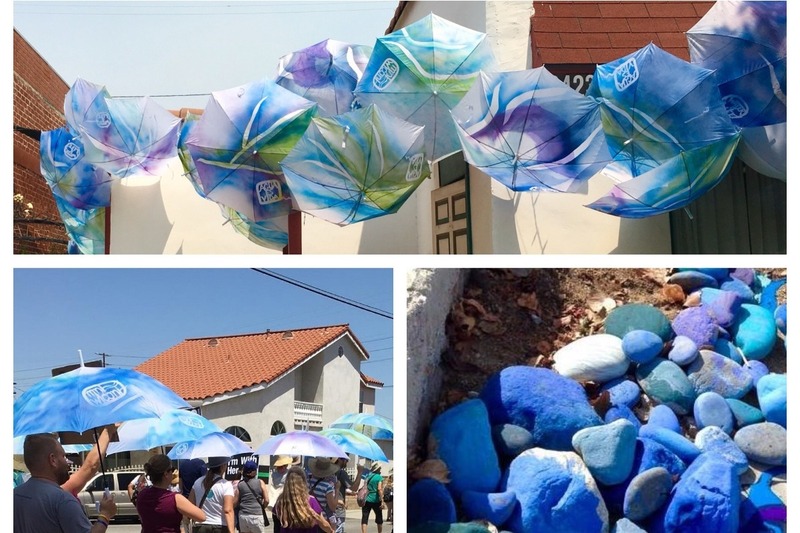 The first 2 installations, River: a discussion about water in a dry place (Newhall, fall 2015) and River Rising (Los Angeles, spring 2017), actively engaged the community in the artistic creation of “rivers” designed to prompt a deep consideration of the arid nature of this place where we live. As our planet turns a corner from which there may be no return, River 3: Current Shift (Newhall, summer 2018), shifted the conversation to consider the current, dire circumstances of excessive heat, lack of rainfall, and year-round wildfires attributed to climate change. We are now seeking funding for the production of a unique work of site-specific land art -- River 4: Water from a Stone. Will take place on Saturday, November 10, 2018, this will be the most ambitious piece in the series – a moving “river” sculpture on the landscape of the Santa Clarita Valley. 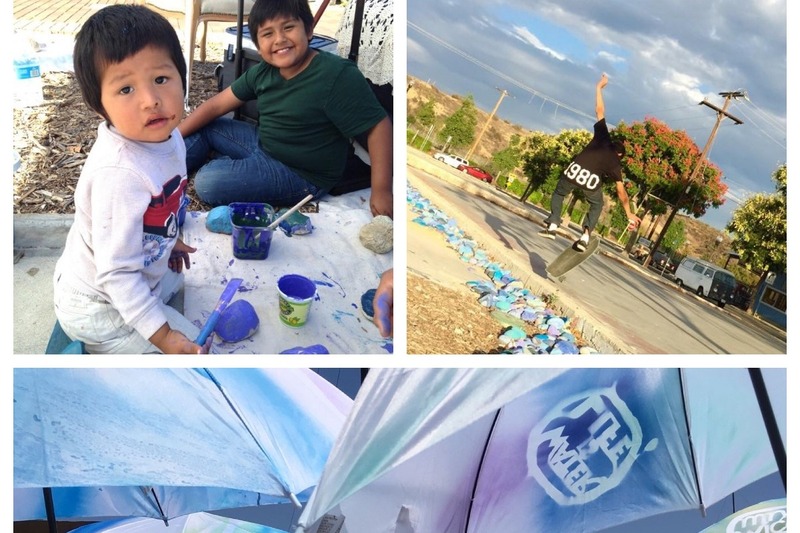 The event, during which participants will spend a few hours "flowing” through the Santa Clarita Valley with our Water Is Life umbrellas, will be filmed to create a permanent artistic documentation of the piece, moves around and through our environment, directly illustrating the various manifestations of scarcity and extremity. The way we use our limited water, truly the basis of life, reflects how we see ourselves within our environment, and how we choose to spend this resource reveals what we most value. As a small arts organization Forge Ahead Arts depends upon donations and support from sponsors to develop projects which enrich and vitalize our community. This unique, thought-provoking and timely project will not be possible without the support of socially minded arts patrons and friends. Funds will be used to offset the costs of materials, professional photography and film, insurance, and municipal permitting fees. More importantly, your contributions will help us focus attention on the ever more precarious position of our environment.